Teen books can change the way you see your surroundings and the world, and can help to open your mind to other people’s points of view. Sometimes you have set ideas about issues because you haven’t experienced them first hand. Characters in books can open you up to new experiences and challenges. 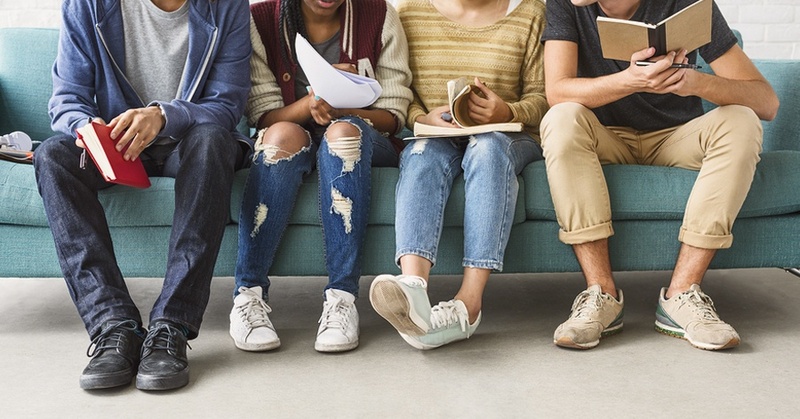 Teen books often explore difficult circumstances like bullying, depression, and challenging relationships or family circumstances, as well as the challenge of fitting in when you feel “different”. Reading about other people and their stories helps you to be more understanding, empathetic, and compassionate. Want to be a better human? Yes! Who wouldn’t?! Mark Irish is the Library’s Teen Librarian. He became a librarian in 2000. His educational background is in the Social Sciences. He loves reading teen and adult literature in which the characters show great resilience. He also enjoys listening to country music. Mark volunteers with JDRF to help find a cure for Type 1 Diabetes and to mentor teens that are affected by it. He is an avid mountain biker and also enjoys kayaking and the great outdoors. Click here to subscribe to Mark Irish's blog posts!